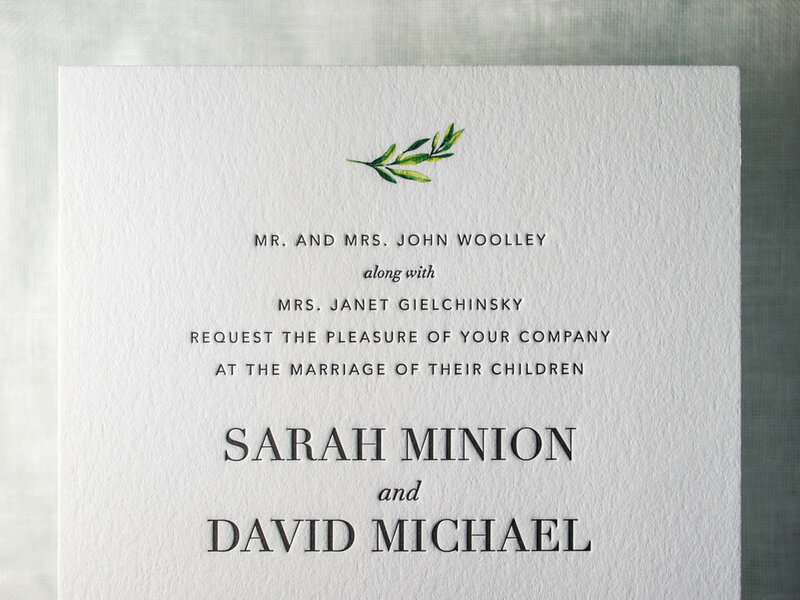 The simplicity of this beautifully modern bride-designed invitation set is deceiving! 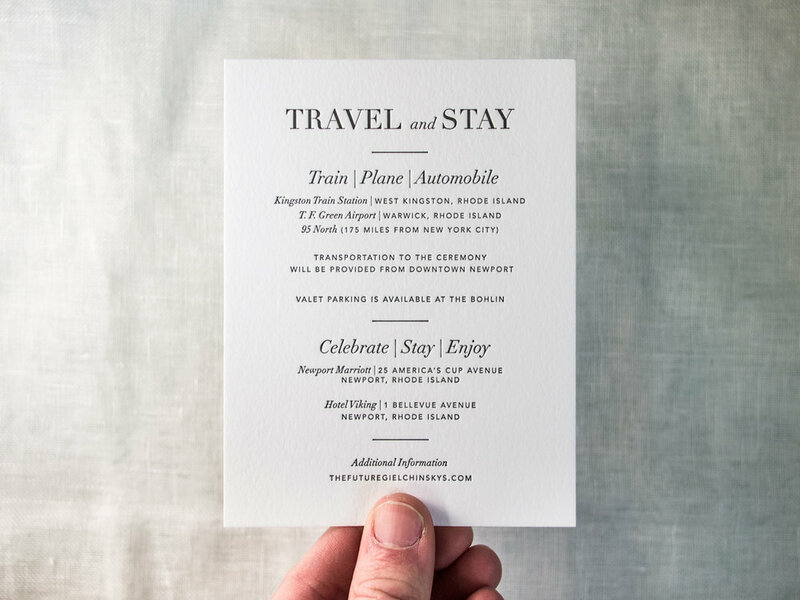 The production of this 5-piece suite required letterpress ink, foil stamping, inkjet printing, and duplexing. The invitation features a mix of serif and san-serif letterpress text along with a small floral motif that we added in an inkjet run. The reply postcard is a bit trickier, created from two 300g sheets, one letterpress printed and one inkjet printed and then foiled over the top. Then we duplexed and trimmed to create a single thick 600g card. On to the agenda card! This one's printed with letterpress ink on the front and inkjet on the back of a single 300g sheet. 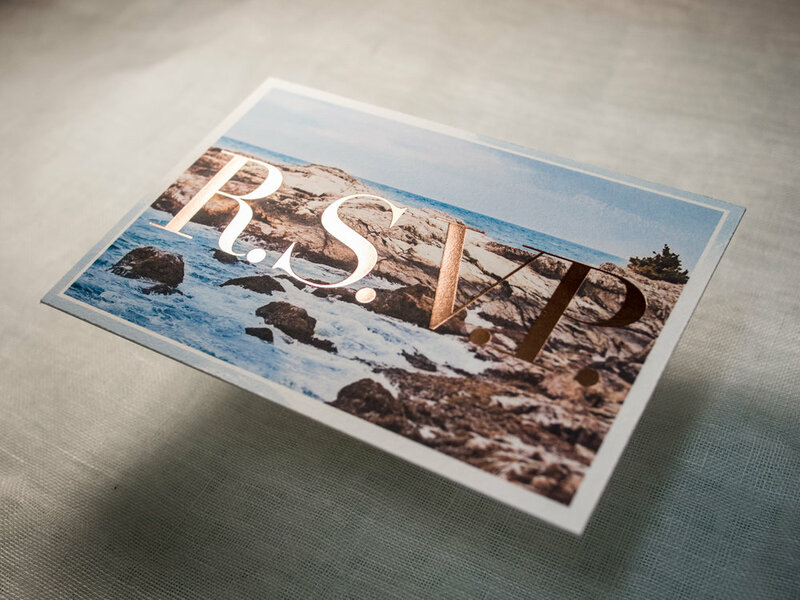 Finally, the reception card, travel insert, and envelope were more straightforward. Simple gray letterpress ink on 300g paper and a 120g cotton envelope. Posted in wedding invitations and tagged with inkjet, foil, rose gold, gray, fluorescent white, envelope flap, map, 600g, 300g, duplex, client designed. February 8, 2018 by Travis Friedrich.